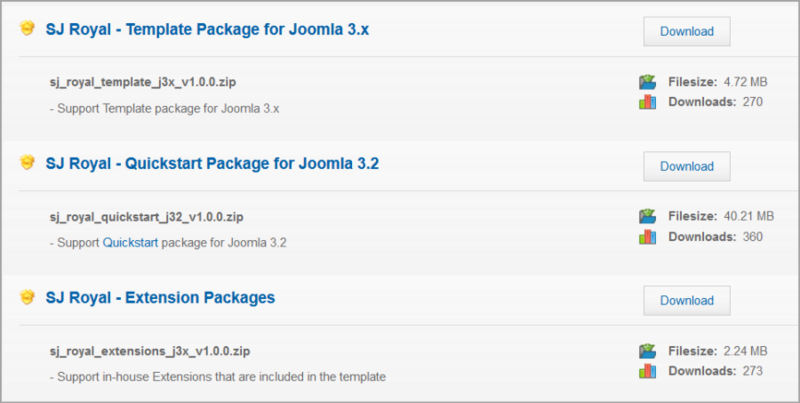 This guide will help you How To Install SJ Joomla Plugin step by step. Below is list of Plugins that are used in the template. 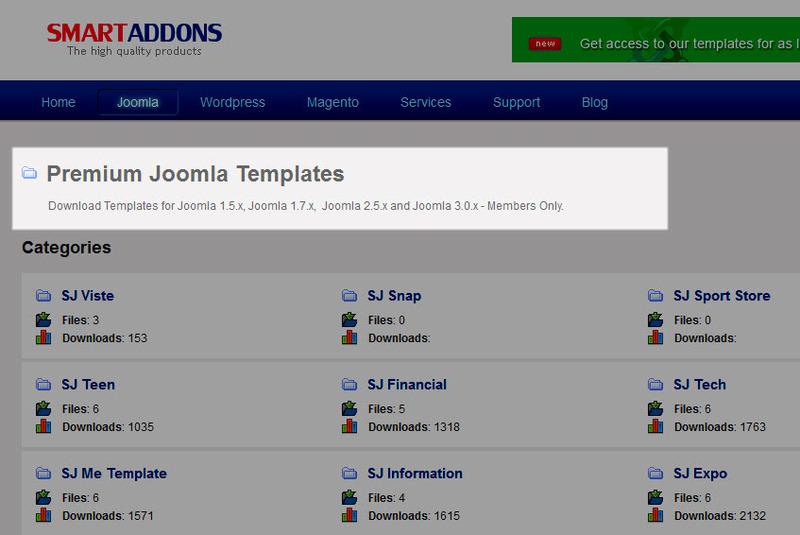 You will need only be using the zipped files in “Extensions” folders mentioned above. Step 2: Click Choose File/Browse button, select our plugins file you have downloaded >> Upload & Install. 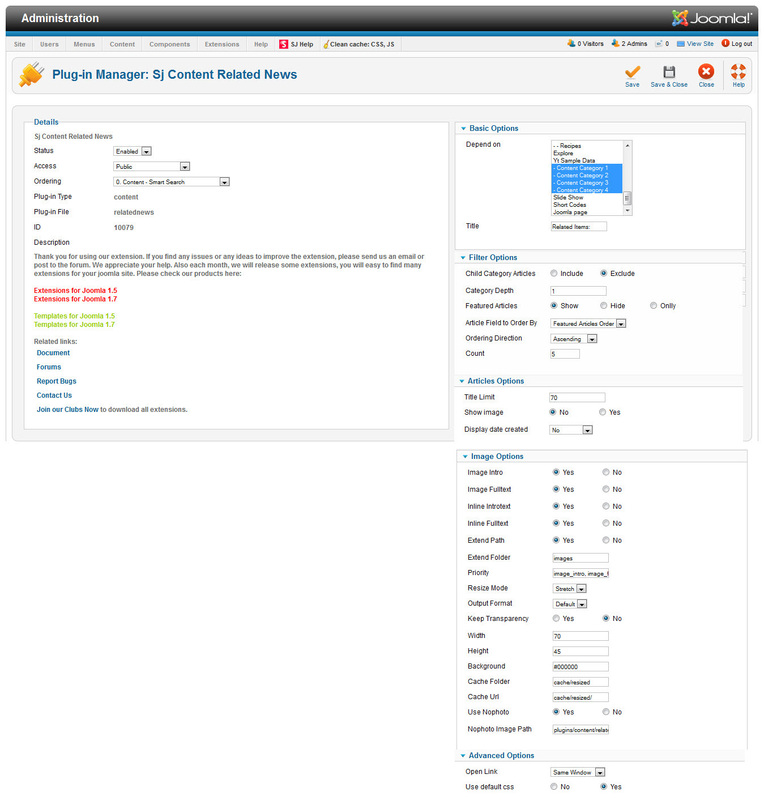 Step 4: Enable/Public plugins. Note: all plugins listed are imperative. Yt Framework Plugin supports to add extra parameters used with Mega Menu and to compress CSS/JS/HTML when optimizing code. 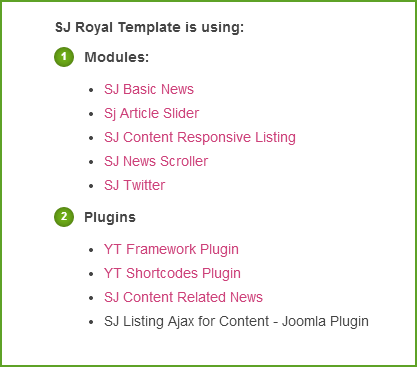 Besides, configure Yt Framework to show SJ Help with Report Bugs, Template Tutorials and YT Framework Tutorials or include jQuery into template. You can go here for getting more information of this plugin. SJ Content Related News is used for showing other related articles in the same category. For more info about this module, please go here. 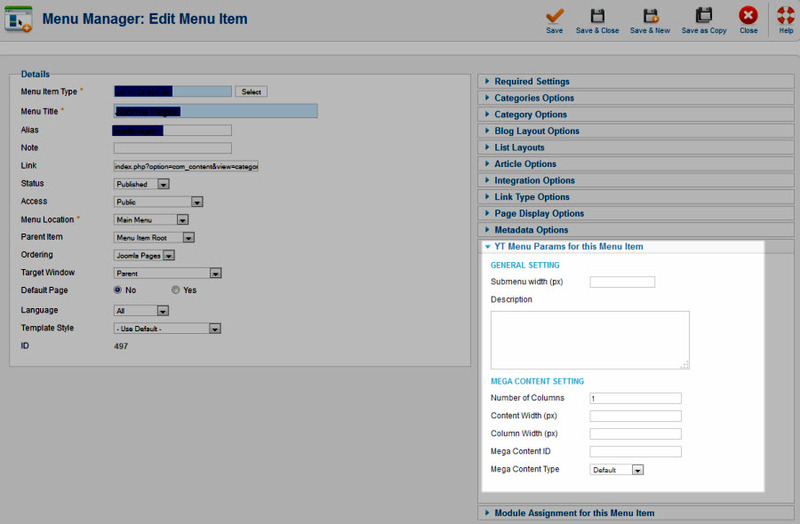 Click here for viewing the screenshot of backend.